Did you always want to be a commercial fisherman? Commercial fishermen get a lot of benefits that regular fisherman don’t. 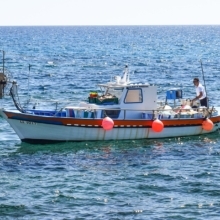 Obviously, you get your license to work on national and international vessels as a fisherman if you want with the help of a commercial license. But that’s only one part of the fun as the rest is interesting too. In this article, we are going to talk about how to become a commercial fisherman at ease. Obviously, there are regular steps that you should follow. However, remember that these are not fixed steps which means that you can actually alter the steps if you want. CGA training is important but vocational training is up to you to decide. We always recommend that you go for as many training as possible before going for the actual jobs but it is your decision at the end of the day and you should decide on your own. The first task is always to get your CGA or Coast Guard Approved training. To be really honest, the first task should be to read about the commercial fisherman life. Many think that it is a very lucrative life as you will get to spend a lot of time in the sea. However, our surveys say that a lot of people do not really enjoy it after a point of time. You first need to complete your CGA (Coast Guard Approved) training to be a commercial fisherman. That’s a law by U.S. Bureau of Labor Statistics. You will find five different training centers across the country and you can choose any of them. When choosing one of the centers, always try to go for the one with maximum exposure even if that’s not your nearest option. Networking will come handy once you start the actual process of searching jobs. As we told you in the introduction of this article, vocational training is voluntary. However, this increases your chance to be a professional and get a good job if that’s what you are aiming for. As vocational is voluntary, many do not go for it and that’s your chance to separate yourself from the competition. This also tells the hirer that you are serious about your profession and you know more than the rest out there. That also helps in the long run. This is probably the reason that why we are talking about commercial fishermen license in our article anyways. The main reason would be to learn about the fishing technologies that have entered into the industry in last two or three years. Those days are gone when you could easily sit back, use manual methods to catch fish as a lot of it is now automated. With technologies such as fish finders, the game has changed and you will have to make sure that you adapt to the changes to stay relevant. Our recommendation would be to keep checking on fish finder blogs and YouTube channels to get a good idea about the recent technologies that are emerging. If you have the option, you should definitely buy a fish finder and test the tech yourself. Each one of them is different but you will always get a good idea of how the end result is going to be like. There are different licenses that you need to aim for based on your location and what you want to do as a fisherman. Licensing is probably the last task that you need to think about before you actually go fishing. For example, if you want to work on a commercial vessel then you will require a different license than what you need to be a crew. It would be a good idea to start thinking about all of these from the first step so that you do not spend a lot of time in this stage once you are done with everything. A lot of fishermen start their license process from the first step and we recommend that too. Also, there are licenses required for fish processing permissions which you need to keep in mind. Now it is time to find a job. Always look for opportunities in dock areas and you will also find some in fishing-related magazines. Try to use the connections you had in your training schools as they come in handy. Always remember that if you are good at it, you will get the job even if it is a late one. Success only happens to those who are consistent in their hustle and if you are out there looking for a job, you should not have to spend a lot of time. The industry is growing and there is always need for good fishermen who know about the latest technology and the application of them. The goal would be to make yourself an expert in this field and you will have a shining career ahead.